Human body is alkaline in nature and it continuously detoxifies in the form of respiration, perspiration and our body waste. Human blood has a pH value of 7.4. Alkalinity helps to prevent our body from most diseases. Acidic environment in our body has been linked to a lot of diseases like acidity, constipation, arthritis, even cancer has been linked to an acidic state in our body. 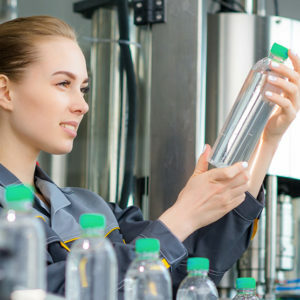 The molecules present in water are usually in large clusters( clusters of 40 to 50)due to the chemical filtration process – these large clusters are unable to penetrate our cells owing to the larger size of water cluster and the small size of our cell pores (also known as aquaporin). Hydrogen significantly reduces free radicals—inflammation-causing molecules linked to everything from accelerated skin aging to cancer. A living cell require energy not only for all of its functions but for the maintenance for its structure. It’s a fact that our body requires one fuel, hydrogen. Hydrogen is the lightest and most the smallest antioxidant. Due to free electron and reactive nature of both atomic and molecular forms of hydrogen, it is considered the strongest antioxidants with high reduction potential. Due to its small size, it also penetrates through cell membranes, to rejuvenate and repair our damage cells by harmful free radical. Antioxidants prevent the oxidation of cells through chemical combination with free radicals. As it is known to all, oxidation damage is caused by harmful free radicals. It is one of the main causes of diseases, and hydrogen is one of the best anti-oxidants that selectively eliminates harmful free radicals because of it applicable reducibility. It is a hundred times more effective than anti-oxidants like vitamin C. There is no side effects of hydrogen. It can be caused or consume without limitations or restrictions. The free radicals which are outside of the cells can be removed by polyphenol, vitamin C and Vitamin E. While the free radical inside the cells could be removed only by the hydrogen rich water. The hydrogen rich water penetrates the cells freely, because of its smaller size. That’s why our body needs hydrogen rich water.